The Wiggles are active in New Zealand, the UK, the Republic of Ireland, the US, Canada and Taiwan, and are considering additional markets in Asia and South America. The Wiggles began their international activity by touring with the support of business partners; and today they also export merchandise, conduct foreign direct investment in the US and operate franchises in Taiwan. For this born-global company, foreign expansion – notably into the US – was part of a conscious strategy to sustain the business. Indeed, 75 to 80 per cent of The Wiggles’ revenue now comes from overseas markets. The Wiggles were formed in 1991 by two members of the Sydney rock band The Cockroaches. Initially, the Wiggles played at children’s birthday parties and shopping centres. Yet they soon discovered that both children and adults were highly receptive to their performance in its own right. Ignoring discouraging criticism from many in the childhood entertainment industry, The Wiggles pursued a novel business model, in which children’s entertainment was made accessible to adults. To inform their undertaking, individual Wiggles obtained tertiary qualifications in early childhood development. By 2000, The Wiggles were touring English-speaking countries, where their commodity could be sold with little modification. And in 2001, they gained exposure to about 65 million Americans by participating in Macy’s Thanksgiving Day Parade in New York City. Owing to the recent terrorist attacks, many people were reluctant to fly, so The Wiggles were embraced by American viewers as a foreign act that had taken the risk to travel and entertain them on US soil. 2001 was also significant because it marked the arrival of Mike Conway as General Manager for Business Affairs. Mike Conway initiated strategic board meetings and prompted the founding Wiggles to think of ways of leveraging their creative content. 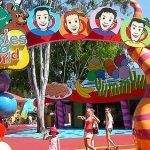 This resulted in The Wiggles producing CDs and DVDs, developing TV episodes and merchandise, and exploring different channels such as retail environments, the community and websites. Other business activities include the local production and post-production of music (with CD and DVD production licensed to Village Roadshow), the in-house fulfilment of merchandise whose production is outsourced (mainly to China), online message boards for parents, and sponsorship agreements with Qantas and Australian apple growers. 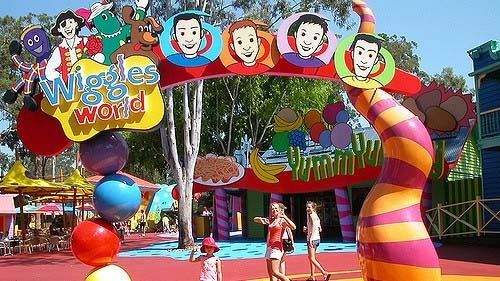 The Wiggles are a striking example of an Australian enterprise whose international expansion has gone far beyond exporting. According to Risk & Quality Assurance Manager Pablo Munoz, the secrets of The Wiggles’ success can be summarised as ‘persistence, ethics and innovation’. 1 Think of other entertainment acts, perhaps from your own country. In what way would they have the potential to repeat the Wiggles’ success? 2 In what ways do you think it was important for the band to have a professional manager instead of relying on their own qualifications? 3 What are some other categories of ‘unlikely businesses to go global’?